What: “Chihuly: Tradition and Transformation,” exhibit featuring drawings and glass sculpture by Dale Chihuly. When: 10 a.m. to 4 p.m. Mondays through Saturdays, opening Friday and running through July 31. Where: Arcade Gallery at Gonzaga University’s Jundt Art Museum, 202 E. Cataldo Ave.
An exhibit opening Friday at Gonzaga’s Jundt Art Museum pulls together much of the university’s collection of work by glass artist Dale Chihuly. The Tacoma native’s pieces have been exhibited – often on grand scales – around the world, drawing both crowds and criticism. After losing some of his sight – he wears a patch over his left eye – along with his depth perception in a 1976 car crash, Chihuly began working with a team of glass artists and technicians to produce his work. He had observed a “team approach” to blowing glass at a factory in Venice, Italy, where he worked starting in 1968 after receiving a Fulbright Fellowship. In the decades since, Chihuly has faced criticism for his factorylike production style along with his sales and self-promotion efforts. 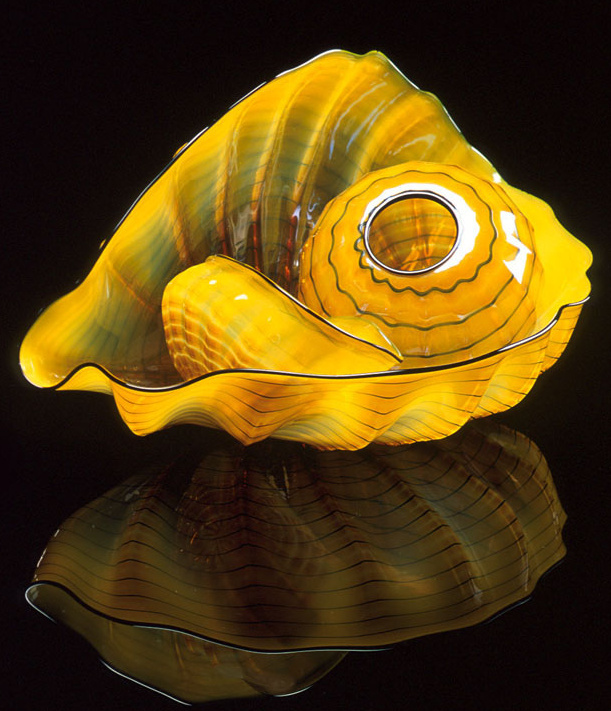 His company, Chihuly Inc., produces glass sculptures and exhibitions throughout the U.S. The Chihuly Workshop produces books and documentaries about Chihuly, along with prints, stationery and other products. He’s also been celebrated for his ambitious architectural installations, including “Chihuly in the Light of Jerusalem,” viewed by more than 1 million people at the Tower of David Museum. Others include major exhibitions in Chicago, San Francisco and Boston and over the canals and piazzas of Venice. “Chihuly Garden and Glass” opened in Seattle in 2012. “There are beautiful pieces in this exhibit, you can’t deny that,” said Karen Kaiser, interim director of the Jundt. Chihuly also designed the chandelier in the museum’s Chancellor’s Room, weighing between 1,500 and 2,000 pounds and made of about 800 glass shapes, according to GU’s website.